Do we really believe in the Real Presence? Episcopalians believe in the Real Presence of Christ in the Eucharist. That is to say that Jesus Christ is truly and objectively present on the altar under the form of bread and wine, which are consecrated as His Body and His Blood. It is an idea that goes back to the very earliest time in the church and it is one of the greatest mysteries of the Catholic faith. Medieval theologians went to great lengths to explain exactly how this happens, but nowadays I think the average worshiper is content to accept the elements as being what Christ says they are (i.e., His Body and His Blood) without much exploration into the intricate philosophical arguments as to how they got that way. The idea of the Real Presence seems pretty uncontroversial these days, but I do question sometimes what we actually believe. I once visited a church where the custom was to take the unconsumed bread outside after the service (they used leavened bread) and to scatter it upon the sidewalk in a misguided attempt to feed the birds. Although this was an extreme example of sacrilege, it was certainly not the only such experience I have had in my ministry, and I am aware of many more examples of similar desecration from stories I have heard from my colleagues. It is a trite saying, but it is true: actions speak louder than words. If we expect people to take our beliefs seriously, then those beliefs need to be reflected in our lives; if we are going to claim in word that the Holy Eucharist is the supreme act of Christian worship and that Christ is truly present in the sacrament on the altar, then our actions need to claim it in deed. If true worship in the spirit were lacking, all grandeur of material worship would indeed be a dead and meaningless form: but true spiritual worship, from beings such as we are, would not be complete and perfected if it were divorced from as perfect an outward expression as we are able to give. This is the principle which underlies all the ceremonial of the church. The ceremonial is an outward expression of our inner faith and worship, and although I would argue that it does not need to be (nor should it be) universally the same, I do think that it should be an experience of dignity and reverence that is a fitting expression of the spiritual reality that we are proclaiming. 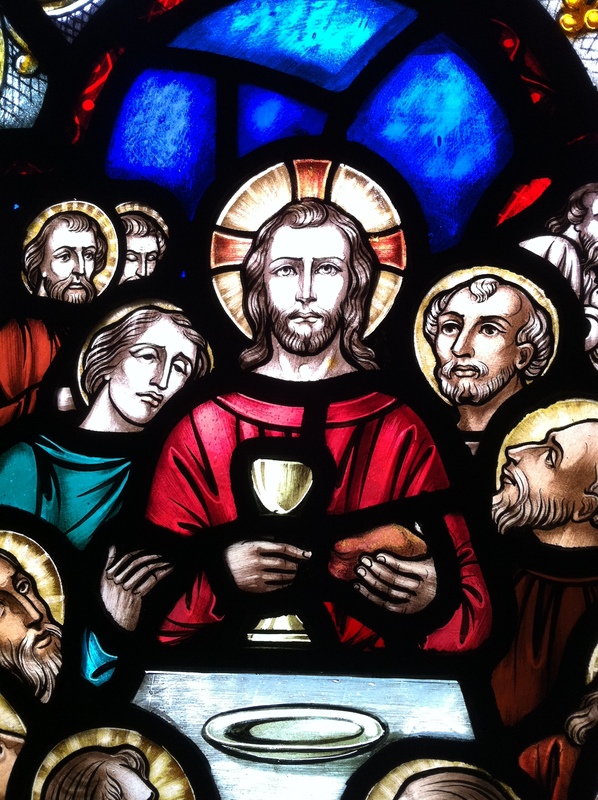 We claim that our Lord and Savior Jesus Christ is actually present in the bread and wine offered on the altar; do our actions proclaim the same thing? Can people tell from our posture and actions a sense of respect for the God in our midst? Would a stranger walking into our churches see in our expressions any awe and wonder at the great mystery of the incarnation held before us? If we really believe that Christ is present in the sacrament of the altar and if we believe that part of our calling as Christians is going out into the world and making people disciples of that very same Christ, then what we do, both inside the mass and outside the mass, matters. Next week is the Feast of Corpus Christi and my church will be observing it with a service of Choral Evensong and Benediction of the Blessed Sacrament. Although Benediction, for most Anglicans, may seem a strange or foreign service, best left to the spikiest of Anglo-Catholics, there is much to be commended about it, and I am happy to say that it seems to be gaining in popularity of late. Benediction and Eucharistic Adoration draw our attention to the mystery of the incarnation in a way that makes us stop what we are doing and take notice that there is something very profound happening here. It is a wonderful compliment to, but not replacement of, the mass itself. Here we must reflect on the reality to which the Eucharistic prayer speaks: the great love story of God that is contained in this bread. Our actions speak to this reality too: we bow, we kneel, we burn candles and incense all to show the great love and respect for the God who chooses to be among us. Are we helping people to find Jesus in the Eucharist? Do our actions, whether they be liturgical or in the secular world, point to the great truth which we claim in the Holy Eucharist? Would a stranger observing what we do, but ignoring what we say, still understand our worship as something profound and mysterious, our would they see it simply as another gathering of like-minded individuals? If we truly believe in the Real Presence of Christ in the Eucharist, then our worship and our lives need to reflect that. We don’t all need to celebrate in exactly the same way and our liturgies needn’t always be complicated, but what we do should always help people to find Jesus in the Eucharist and the Eucharist in all things. It is here where style really matters to the substance of our faith.